The halls at my school last week were full of teachers’ usual end-of-year banter. One person remarked on how quickly this year was flying by. I replied that, now in my fourth year, each school year still feels like a roller coaster, but one I’d ridden before, with familiar dips and twists and turns. For me, this year is mainly speeding by because of how much I’ve enjoyed it. This school year has reinvigorated me, further convinced me that I want to spend my career around kids. But after four years of teaching at three different schools with four different principals, I’d love to find a school at which I could settle in and make a long-term difference. The education landscape in my city, however, has left me worried that no such opportunity exists. I’ve noticed a similar concern among many of my friends who became teachers around the same time I did. Indeed, my friends and I—and we’re not alone—feel that to stay in urban education and make a meaningful impact, we must make a major sacrifice: leave behind the kids who need the most support or forfeit our job stability. These concerns are relatively new, the products of an alarming trend in urban education through which public school systems have become increasingly unstable as charter schools continue to take up a greater share of students in cities. Charter advocates would likely employ a familiar response: Kids should be able to receive the best education possible; tradition should never be an excuse for not educating kids. At a policy level, *school choice* seems a logical part of the solution to this problem. By creating a *marketplace* in which parents are able to choose the best school for their child, the *good* schools will naturally be replicated, the *bad* ones closed. More kids going to good schools = more learning = better for kids. In college I became passionate about education reform. I read commentary and research supporting both *sides* of the school choice debate and reached the same conclusion. If your goal is to find whatever policy levers will raise student achievement, it makes sense. As a veteran teacher now, I’m far less engaged in policy debates than in discussions with my students and their families. Twitter conversations about charter authorization have been replaced by talks with Nadja about how I’ll get to teach her sister in two years. What I don’t tell her is that I don’t even know if our school will be open in two years. The reality is that most proponents of this marketplace system had the same conversations with their teachers when they were kids. They made their closest childhood friends at school growing up. Their letters of recommendation for college came from teachers or staff members with whom they built and maintained relationships over time. And whether they’d acknowledge it or not, their views and behaviors were influenced greatly by school culture built, not only by their peers, but also by the staff and administration at their schools over many years. Lasting relationships with teachers and peers aren’t forged over just a few months. An amazing arts program takes years to build. It takes a long time to develop a wide variety of student-led extracurricular opportunities. School pride comes when students feel they are a part of a community in which they’re able to express themselves and show off their talents. But in a marketplace in which schools compete for test scores, narrowed priorities and school closures erode the stable soil teachers and administrators need to put roots down and grow an enduring culture of success and school community and pride. I began my teaching career in a public high school just down the road from my current school, and while I remember it fondly and miss it in many ways, I have no illusions about the education my kids were receiving there. It was a mess. But the higher-performing charter I taught at last year had no art, no music, and no physical education, yet somehow the network was lauded as a model for urban schools. Indeed, in the marketplace, this is the model. So while reformers tout my city as a school choice success story, I know the improved reading and math scores they cite as proof have come at a tremendous expense. The very system that produced those higher test scores is also denying my students and others like them across the city vital experiences and opportunities. Recently a freshman named Anyae asked me when she’d get to have me as her teacher. I smiled and replied that I only teach seniors. *Three years is a long time,* she remarked quietly. *It is,* I responded. So long, in fact, that in a system that’s chaotic by design, I worry that day may never come. 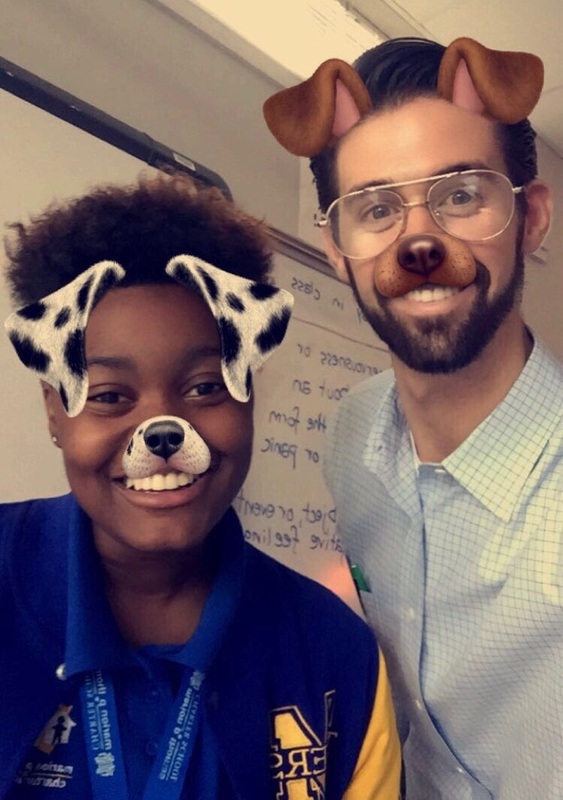 Ryan Heisinger teaches high school English in Newark, New Jersey. You can follow him on Twitter at @RyanHeisinger. Next Post → Education Can’t Fix Poverty. So Why Keep Insisting that It Can? Wonderful insight into education. As a first year teacher, I have experienced the chaos; but, as an only child knows nothing about siblings, I don’t know any better. I hope and pray the madness ends; I hope you find your place in your school district. I’m sure it would be a hinder to many of the up and coming seniors to lose such a wonderful teacher and mentor. Is this the same Ryan Heisinger? If so, he seems to have changed his tune from the time at UMCP. Does he still see veteran teachers, their unions, and their warnings/concerns about education “reform” part of the problem? I definitely never saw veteran teachers as part of the problem, but you’re right that my “tune” has changed. Honestly, I’d be skeptical of anyone whose views didn’t change after four years of teaching in a place like Newark. Ultimately, the piles of research and commentary I read in college didn’t teach me half as much as my kids, their families, and my schools’ communities. That’s part of why I love teaching so much. Thanks Ryan. I remember reading one of your pieces in the Diamondback. However, I didn’t commit it to memory so I don’t recall specific details. I so appreciate you laying out these concerns clearly but calmly. 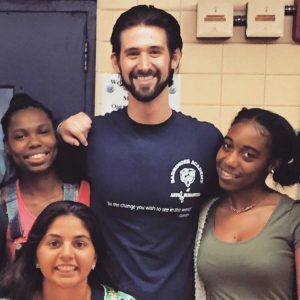 As a 4-year teacher at a charter school, I share all of these concerns. Especially in the midst of “testing season,” I’m seeing growth in math and reading come at the expense of student confidence and joy in learning. I am also so encouraged to hear that you have these concerns and fears, but you are not giving up on teaching. Stay in the fight!